There are 764 followers and the busiest day for all time was December 10, 2016, with 1,725 views and the most popular post with 1,597 views is “Aeschylus on Suffering and Wisdom” (Feb. 10, 2014), https://dwkcommentaries.com/2014/02/10/aeschylus-on-suffering-and-wisdom. This annual report is shorter than usual because WORDPRESS has not provided its annual report. In 1982 I took a sabbatical leave from my Minneapolis law firm (then Faegre & Benson; n/k/a Faegre Baker Daniels) to teach a course about law at my alma mater, Grinnell College, and in my spare time I examined materials in the College Archives about these two gentlemen. While on a business trip to Boston in 1985 I found spare time to examine a collection of Joe Welch Papers at the Boston Public Library. While focusing on those relating to the Army-McCarthy Hearings, I happened upon letters between Welch and Burling. In 1986 I returned to Boston to attend the Harvard Law School’s Summer Program for Lawyers and discovered in Harvard’s collection of the papers of Learned Hand, an eminent federal judge and one of my legal heroes, that he and Burling had been law school contemporaries and life-long friends. This further spurred my interest in Burling as I read their extensive correspondence. On this occasion I also visited Welch’s law firm and interviewed some of the other lawyers who were involved in the Army-McCarthy Hearings. When I retired from the active practice of law in the summer of 2001, one of my future projects was to review all of the information that I had gathered and write articles about the two gentlemen, and I mentioned this project in an essay about retirement that was posted on the Internet by another law school friend as part of materials for a lawyers’ seminar. In 2005 I was inspired to finish these papers when I received a totally unexpected call from Professor Roger Newman, the biographer of Hugo Black and a member of the faculty of Columbia University. Newman said that he was the editor of the forthcoming Yale Biographical Dictionary of American Law and asked if I would be interested in writing short biographies of Welch and Burling for that book. Newman said he had discovered my interest in these men from the just mentioned essay on the Internet. I said that I would be glad to do so. These sketches, however, barely scratched the surface of what I wanted to say about Burling and Welch.. As a result, I did further research, including examination of several collections of original papers at the Library of Congress. My research about Burling and Welch now has been documented in multiple posts to this blog. My interest in these two men was sparked by my sharing with them growing up in small Iowa towns, graduating from Grinnell College and prestigious law schools and becoming lawyers in major law firms in different cities and by meeting Burling in 1959 and hearing Welch speak at Grinnell in 1957. My research and writing about them enabled me to use my legal skills in projects that were personally important to me, rather than those that were driven by clients and courts. The research also produced many thrills of discovery, including some totally unrelated to these two men. I am grateful that I have found great joy in doing this research and writing. An earlier version of this post was published as Adventures of a History Detective (April 5, 2011). There are 744 followers and the busiest day for all time was December 10, 2016, with 1,725 views. Jesus’ Question: Who Do You Say That I Am? 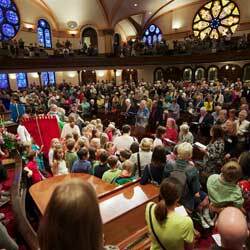 ‘Who Do You Say That I Am?” was the title of the August 20 sermon at Minneapolis’ Westminster Presbyterian Church by Associate Pastor Brennan Blue. Here are extracts of that sermon along with the main Scripture reading of the day and two of the prayers. That follow-up question also was addressed to everyone in Jesus’ time and to everyone since then. There obviously have been and continue to be many different answers to this question. Some will say, “I do not know.” Others, “He was a man who lived many years ago who claimed to be the Son of God.” And so on. For those of us who claim to be Christians, the question is a challenge to have an answer that is direct and authentic. For me, Jesus was a favored Son of God, who by his words and actions courageously demonstrated the kind of life that God wants every human being to live. As Jesus affirmed, “Love God with all your heart, mind and soul and your neighbor as yourself.” Jesus, therefore, commands our love and worship, as we strive to follow Him and live the life that He demonstrated. The bulletin of the service and the text of the sermon are available on the church’s website. The other scriptures were Jeremiah 31: 31-34 and Galatians 3:23-29. Jeffery S. Siker, “Exegetical Perspective” in Feasting on the Gospels: Mark, eds. Cynthia A. Jarvis and E. Elizabeth Johnson (Louisville: Westminster John Knox Press, 2014), p. 237, 239. 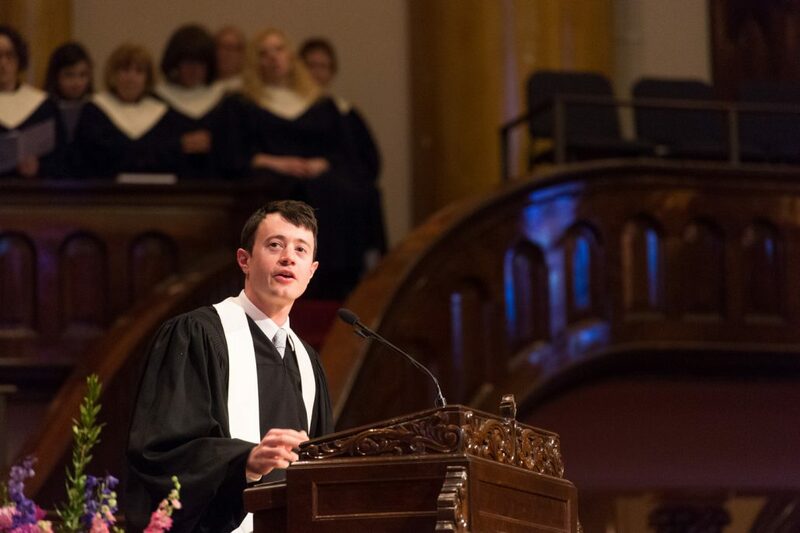 Other posts have reflected on the concept of vocation and my own sense of vocation: My General Thoughts on Vocation (Feb. 6, 2014); (Feb. 15, 2014); Another Powerful Worship Service About Vocation (Feb. 15, 2014); Other Scriptural Passages About Vocation (Feb. 17, 2014); What Happens When Jesus Calls? (Feb. 19, 2014); My Vocations (Feb. 23, 2014). Posted on August 24, 2017 Categories Personal, ReligionTags Christianity, discernment, Galatians 3:23-29, Jeffrey S. Siker, Jeremiah 31: 31-34, Jesus, Jesus' disciples, Mark 8: 27-33, Rev. Brennan Blue, Rev. Dr. Margaret McCray, St. Peter, The Holy Bible, vocation, Westminster Counseling Center, Westminster Presbyterian ChurchLeave a comment on Jesus’ Question: Who Do You Say That I Am? My contemplations of mortality and those of Roger Cohen have been subjects of previous posts. Additional contemplations are prompted by an article by two philosophy professors, John Kaag and Clancy Martin. Previous posts: Intimations of Mortality (Mar. 8, 2012); Mortality (Apr. 8, 2014); Death Certificates’ Documentation of Mortality (Apr. 11, 2014); Why I Do Not Hope To Die at 75 (Sept. 25, 2014); Further Reflections on Ezekiel Emmanuel’s Desire to Die at 75 (Sept. 30, 2014); Another Perspective on Dying (Oct. 6, 2014); Roger Cohen’s Gentle Words of Wisdom (Dec. 3, 2016). My General Thoughts About Vocation (Feb. 6, 2014); My Vocations (Feb. 23, 2014); Where Is the Sense of Vocation in Roger Cohen’s Writings? (Dec. 7, 2016). Posted on December 7, 2016 Categories Personal, Politics, ReligionTags Christianity, evangelism, Frederick Buechner, God, human rights, Jesus, Jewish Faith, New York Times, Rev. Timothy Hart-Andersen, Roger Cohen, vocation, Westminster Presbyterian Church2 Comments on Where Is the Sense of Vocation in Roger Cohen’s Writings?